Thanks for your email regarding the competition , unfortunately I posted my favourable comments too early regarding Jede Attwell. The job was completed to my belief but when we lit the gas fire, the room filled with fumes as it had done previously and activated the smoke alarm. We found this very disturbing and immediately contacted another builder who inspected the cowl and to my surprise he said it was the wrong cowl. 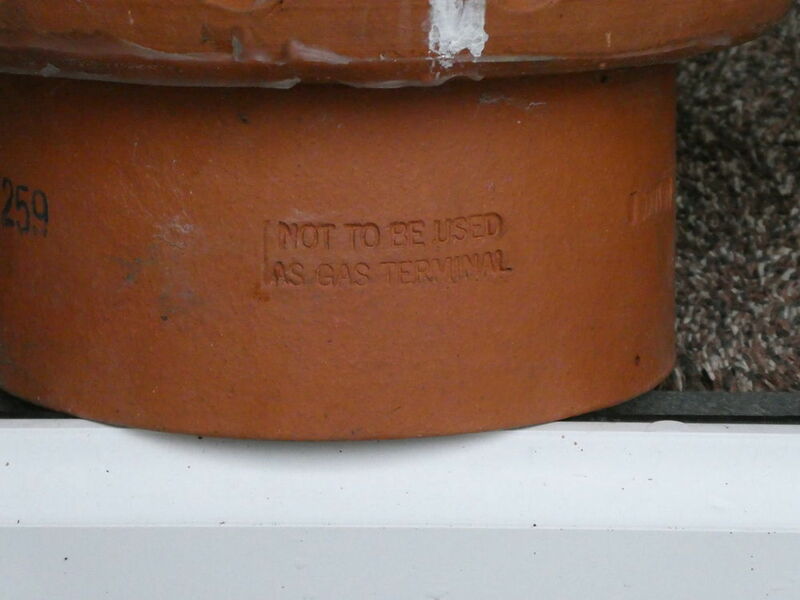 Clearly moulded on it said NOT TO BE USED FOR GAS FIRES! Photos attached. The subsequent builder told me that the chimney was blocked with birds' nests. I tried to contact Jede but unsurprisingly there was no reply. I most certainly would not recommend this builder in the future.